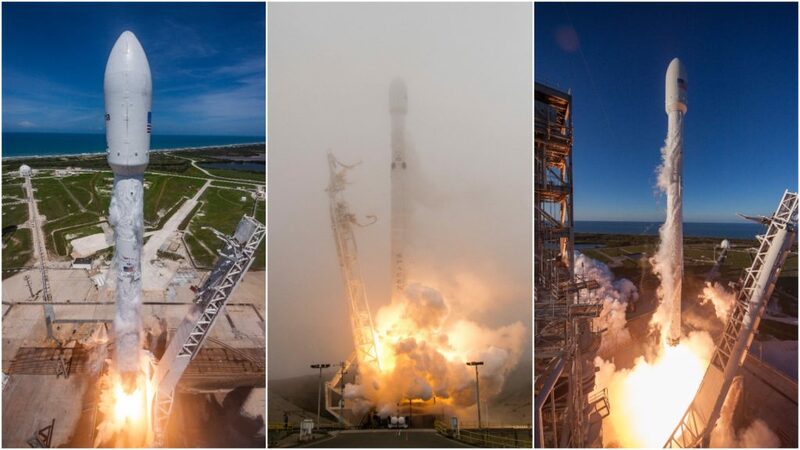 Just over two weeks ago, SpaceX accomplished its most impressive feat of cadence yet, both launching and recovering two separate Falcon 9s in approximately 49 hours. Two weeks later and two days after conducting a third launch in 13 days, residents of Los Angeles, California and Cape Canaveral, Florida both coincidentally reported that the two recovered boosters from the previous two launches had both gone horizontal and appeared ready for transport. After docking in Port Canaveral for the second time, Core 1029 was seen entering SpaceX’s LC-39A integration facilities on Friday. 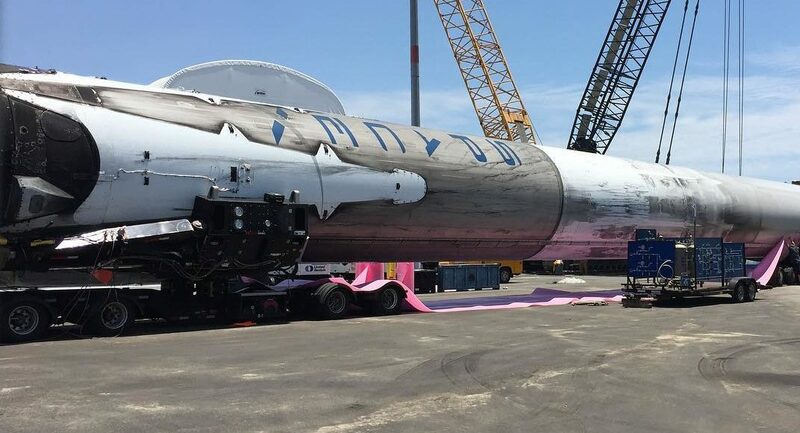 The booster on the West coast, 1036, was loaded aboard one of the company’s converted Falcon 9-carrying semi-trucks, likely for transport to SpaceX’s Hawthorne manufacturing facilities, or possibly on a direct route to McGregor, Texas for refurbishment and testing. This is exciting for several reasons. Foremost, 1036 is a likely candidate for reuse, and SES-10 sets a firm precedent for this. The first commercial reuse of an orbital-class launch vehicle, Falcon 9’s second stage and SES-10 payload launched on a first stage that had flown five months before during the successful launch of Iridium’s first ten NEXT satellites. 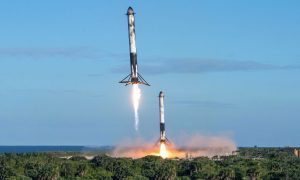 Given the potential impact of failure on the adoption of reuse as a commercial standard, SpaceX likely approached the refurbishment of the vehicle with an end-goal balanced between perfection and realism. The orbit of Iridium’s NEXT constellation is the reason the booster was chosen for the first operational reuse: their low Earth polar orbits require Falcon 9’s first stage to undergo a smaller amount of heating and general hypersonic battering when compared with SpaceX’s more common commercial launches of geostationary satellites. 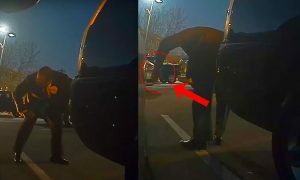 A sound example of the extremes of Falcon 9’s suborbital reentry heating can be found in the recovery of 1029, which launched BulgariaSat-1 to a supersynchronous transfer orbit. 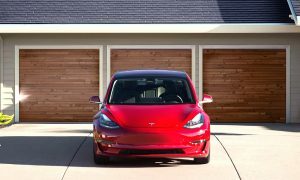 Noted before the launch by Musk over his favored medium, 1029’s recovery was expected to be the most energetic yet, and thus success was less than certain. 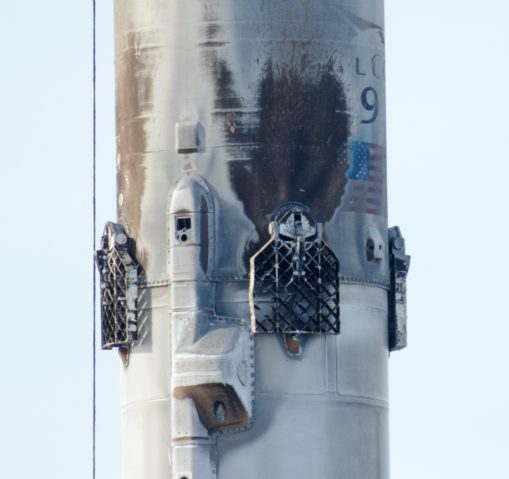 The results of this additional heating were obvious, and keen observers rapidly noted that the most stressed of 1029’s aluminum grid fins appeared to be considerably deformed from the stage’s energetic return to OCISLY, completed melted through in places. Considering the debut of more robust titanium grid fins aboard the launch of Iridium-2 only two days later, the quasi-destruction of one of 1029’s grid fins was somewhat fitting. 1036’s titanium grid fins looked barely worse for wear after a landing that was also deemed aggressive due to Just Read The Instructions having to avoid bad weather just before the landing. Stirring explorations of the limits of recovery aside, both boosters are now ready to be examined and refurbished ahead of one or even two additional launches. 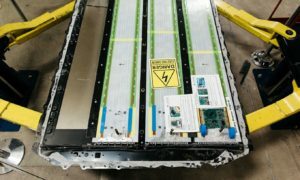 SpaceX’s willingness to use the booster recovered from the launch of Thaicom-8 has already established that the company has a certain level of confidence in the reuse of first stages that have suffered high-velocity recoveries. Thus, 1036 is nearly certain to be reused, and 1029 has a strong chance as well. The hot recovery of 1029 further marked the first use of a remotely-operated recovery robot aboard OCISLY, and could be seen below the leaning first stage as it entered Port Canaveral. 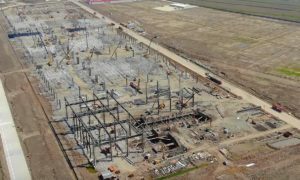 It appears that its first use was a success, and the robot will certainly have a busy future of remotely securing first stages after landing. 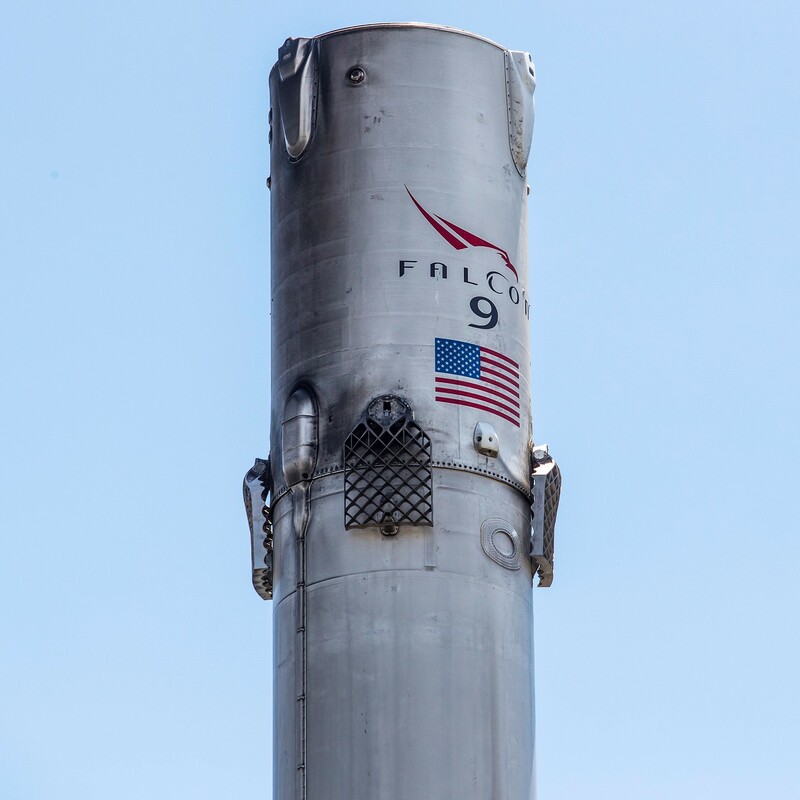 Remote securing and safing will both improve safety for those directly involved in on-ocean recovery, but it is also intended to expedite the process in order to ensure that OCISLY is prepared to recover Falcon 9 as often as possible. 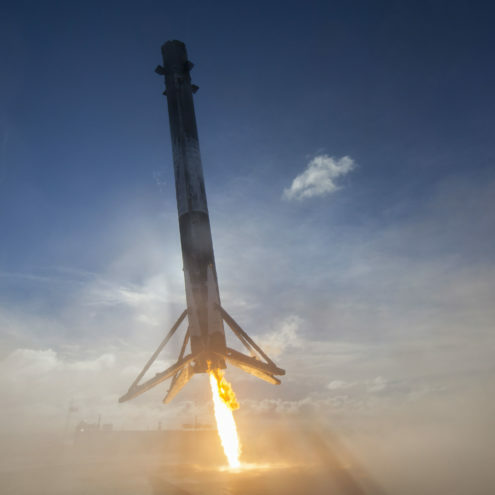 SpaceX’s recent cadence accomplishment of three launches in 13 days drives home the reality that weekly launches are readily achievable for the company, so long as there are pads available and payloads to be launched. Weekly recoveries for an ASDS like OCISLY would be extremely time-sensitive, given the need for at least several days to simply reach the point of landing in the Pacific, and the addition of rapid robotic alternatives for operations aboard the drone ships could make such a goal more achievable. 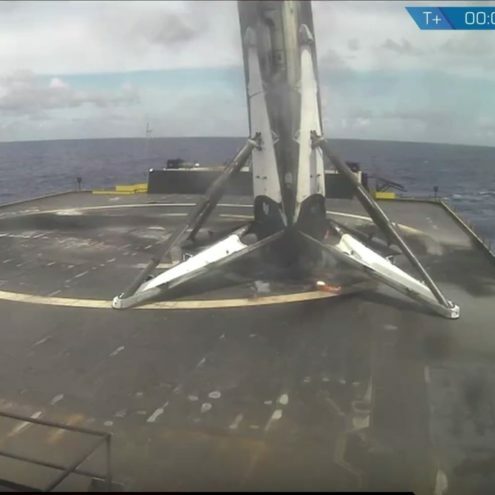 With SpaceX’s land-based landing facilities in perspective, it is easier to imagine a close future with weekly launches and landings of both Falcon 9 and Falcon Heavy, and possibly the propulsive-landing Dragon 2 spacecraft further down the road. A symbiosis of SpaceX fans and those familiar with the metal and chemistry have also led to fans speculating that the now-standard titanium grid fins may develop a subtle, golden patina of oxygenation after many reuses. Nothing could be more picturesquely symbolic of the successes SpaceX has had in their pursuit of reusable rocketry.